Unification before March 3rd week: Chair Dahal - Integration Through Media ....! 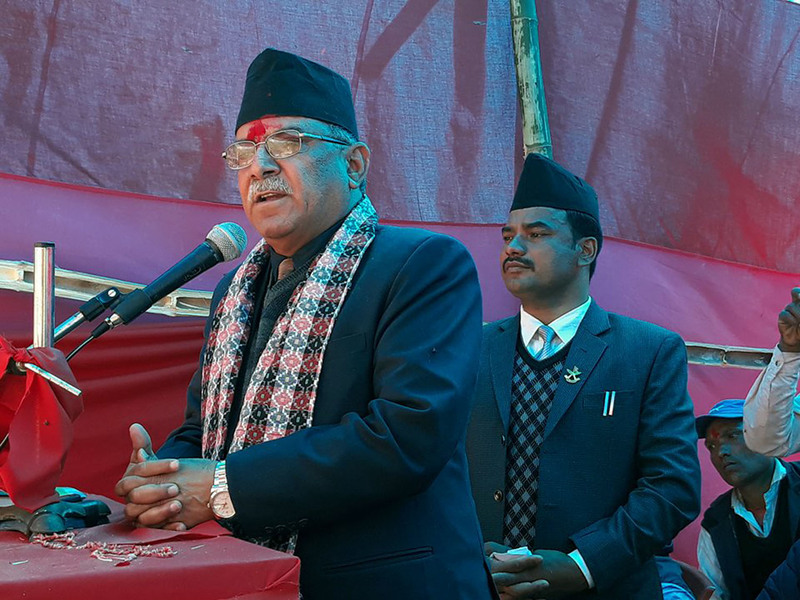 ACHHAM: CPN (Maoist Centre) Chair Pushpa Kamal Dahal ‘Prachanda’ has said the unification between CPN (UML) and his party would be announced before March third week. In a press meet organized by the Press Centre Nepal at Ramaroshan in the district Friday, Chair Dahal clarified that there were no hindrances for the unification bid, therefore, it gets concrete shape soon. On another note, Dahal, also the former Prime Minister, shared that the Cabinet would be expanded very soon. He also said the country was moving on the way to socialism, as the three tiers of governments (federal, provincial and local) were in place to expedite development activities in the country.